Sugar paste icing on celebration cakes is not to everyone’s taste (makes the cake too sweet, look kiddish & gives a strong sugar rush!). 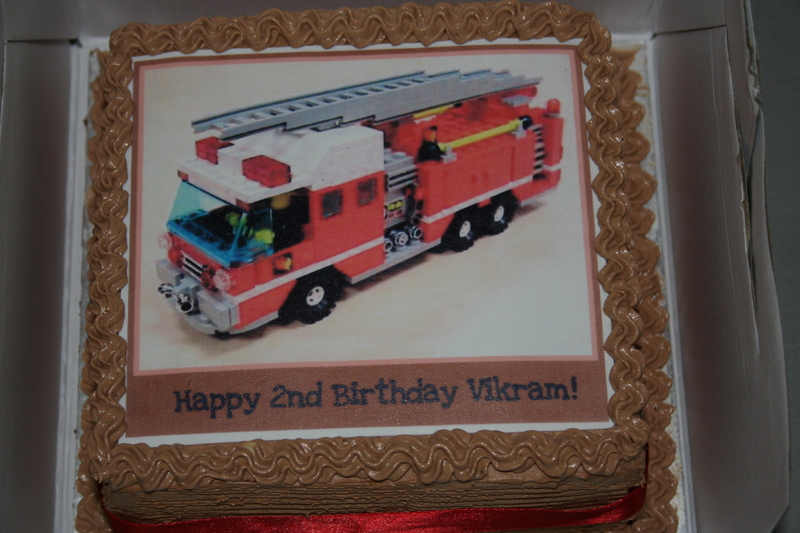 One can always use simple buttercream icing for decoration but it can make your cake taste too buttery & heavy to digest. The secret to my delicious cakes is French buttercream icing – which is not only light, but tastes heavenly as well. This delicious concoction of eggs, sugar syrup and butter goes perfectly with cakes, gateaux and pastries. A word of warning – my internet research indicates that a lot of recipes floating around on the web can be confusing on ingredients and technique. Some of them are downright criminal !! Okay, so I am sharing here what I have learnt and used extensively over the last 2 years and know that it would work well for you too. Correct mixing is extremely important and so I strongly recommend a kitchen aid or a similar mixer or an extra pair of hands even ! 1. Whisk the eggs and egg yolks in the machine till they are pale in colour. 2. At the same time, heat the sugar and water to 118 deg Celcius, commonly known in the pastry world as a ‘Soft ball solution’. 3. As soon as you reach the soft ball stage, turn down the mixer speed (to avoid splashing the hot liquid around) & pour the sugar solution into the whisked eggs. 4. Turn the mixer speed up (I usually cover mine with a splash guard before I do that – I hate to clean up the mess afterwards) and whisk until the mixture cools down to room temperature i.e you can touch the bowl without feeling any heat. 5. Add chunks of softened butter, continue to whisk and watch them getting absorbed into the mixture. 6. Once you are done with all the butter, add any flavourings like vanilla extract, coffee extract, praline paste or melted chocolate (or a combination of them) and whisk until these get incorporated. Layer and coat your cake with this buttercream or enjoy a liberal splash on your cupcakes. 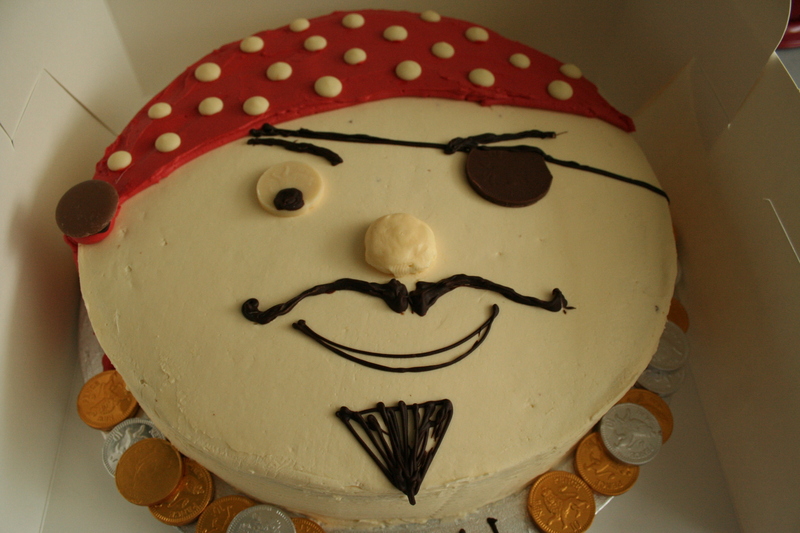 This entry was posted in Cake, Recipe and tagged "French buttercream", pirate. Bookmark the permalink. Hi, can I use this under fondant? If so, do I need to refrigerate? It does need refrigeration. 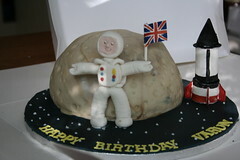 I wouldn’t recommend using it with fondant it as fondant will get soggy in the fridge. hi, i followed your instructions (i have a KA and a candy therm), but my icing was lumpy like cottage cheese (tiny curd cottage cheese.) Any suggestions? I have noticed that it does this sometimes when making small quantities like these. You just need to continue whipping it at the highest speed for another 3-5 mins. Add a spoonful of warm water while doing this (it helps restore the gloss). Hey I Tried this today, it turned out great!! I have been trying those other french cream recipes floating out there and they are just AWFUL!! Not at all what i was looking for. I moved away from my favorite bakery a while ago and i cannot find anyone who makes a suitable cake frosting like they did, UNTIL NOW!!! Thank you so much. I have my signature frosting for my family cakes. The cottage cheese lumps at the end were easily smoothed away with barely a tablespoon of warm water. I had to crumb coat it four times and refrigerate it for a few minuets in between coats. I did a double stack cake so i had to double the frosting recipe. I did end up having some frosting left over which was gone once the in-laws and my boys caught on how nummy it was. They could not get their fingers out if it!! Lets just say it was a hit! I put in a one teaspoon of almond extract and two teaspoons of vanilla. I would like to make it chocolate next time, How much chocolate should i use? I am not an experienced baker. So i am stunned how well it turned out. This was a simple recipe and easy steps to follow. Thanks! Glad your family enjoyed it! There is no fixed formula for chocolate or coffee flavours – how much you add depends on your taste. For a chocolate flavour, melt 100 g of dark chocolate and leave it to cool for some time. Mix in a little at a time until you get the taste you like. I wished to add a picture of how my own cake turned out according to you French cream recipe. tried to post the picture. 😦 dint work. oh well. It was a beautiful cake. Cant wait to try out all your recipes. 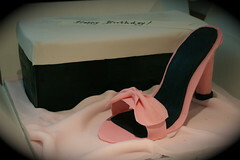 I saw your cake picture using the link in my email notification – looks really lovely!!! Hi Deepali, you have awesome talent 🙂 congratulations on DEEP DELIGHTS..I wish I could start something like you here in Mumbai!! Can I ask you for some tips on your truffles? The Mumbai weather is horrible to them and I keep struggling with the chocolate!! Hi. Loving the comments and I’m keen to try it out. I am keen on spraying edible lustre paint on the icing. Would that be okay? I am getting ready to do a ruffled wedding cake. Will this buttercream hold the ruffle shape? How far ahead can I make it if I keep it refrigerated? I would recommend making it as close to the day as possible – it has eggs and wouldn’t be safe to eat beyond a 2-3 days. The icing does retain its shape quite well once set in the fridge, although I have never tried ruffles with it. Wow, thank you do much for sharing this delicious recipe. Like you said, I will never go back to any other buttercream. I piped it onto my Halloween cakes and even my husband, who normally hates buttercream, could not get enough. How long do you have to mix it to get it to room temp? I’ve tried a “cooked” icing recipe before and spent forever waiting for the hot sugar to cool enough. them it tasted like marshmallow cream. If you make a larger batch, it would take longer. Ok, so quite a bit longer then since I live on hot sunny Texas.